On the weekend, my niece turned 13! Before we headed out to the 13th birthday party, I prepared a giftcard (that’s what she wanted), but I just felt so… lazy, cheap, thoughtless and uninspired! 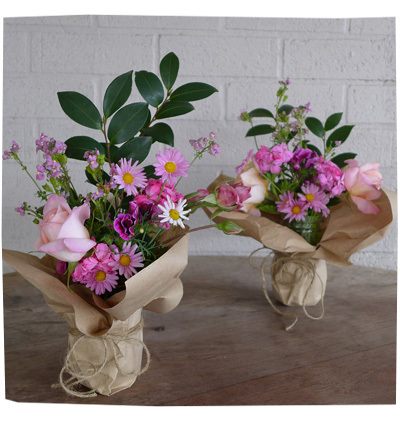 So I crept around my garden and picked some simple flowers, bundled them up, stuck them in a clean mayonnaise jar, wrapped them up with some brown paper, brown string and voilà – a cute and simple gift! I’m so happy with how they turned out. I had lots of left over flowers, so I made one for my house too. Hope you all have a gorgeous day!